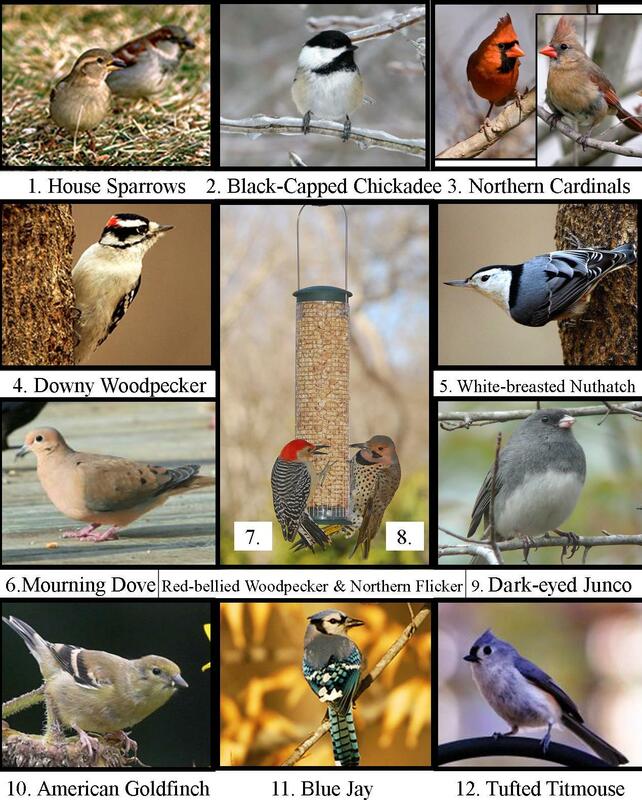 Mid-Michigan is lucky enough to see lots of birds during the long cold winter months. 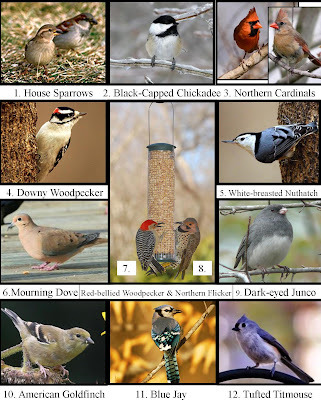 I’ve listed some of the most common birds you’ll see and the food they like at feeders. 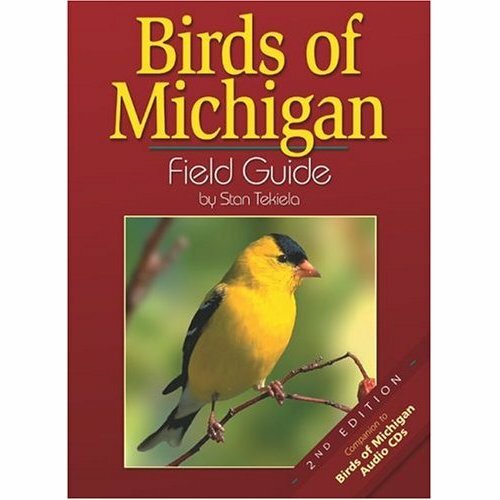 Of course there are a lot more birds in Michigan during the winter and they don't just eat from feeders, but this gives you a start. 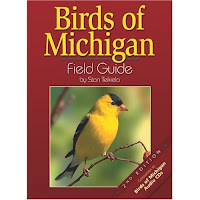 For more information we have Birds of Michigan Field Guides or you can visit our online Bird Guide to identify birds at http://www.allaboutbirds.org/. The America Robin (Turdus migratorius) does migrate but the birds that summer in Canada may migrate to parts of Michigan (where I live) and think that’s far enough. 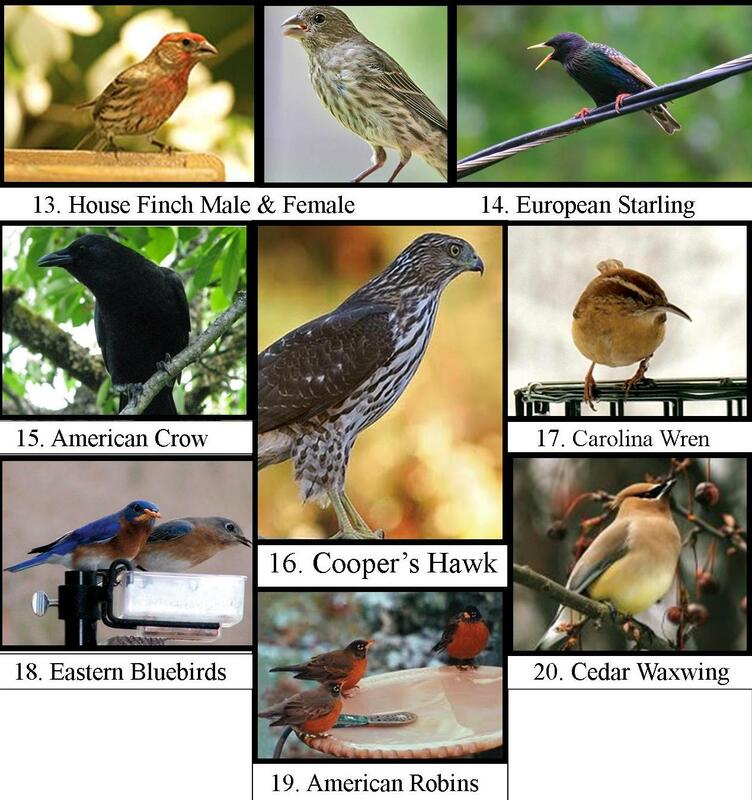 If you look at the range map you’ll see that there are winter populations of Robins in most states year round. Robins are surprisingly hardy birds, capable of surviving temperatures well below zero. But that doesn’t mean sightings are common. After nesting season has ended, they usually form large nomadic groups that roost at night in the woods. Their diet changes from mostly worms and insects to fruit, nuts and berries. I’ve seen them devouring our crab apples, Mountain Ash tree berries, and sometimes under my feeders looking for nuts. They also appreciate open water in the winter. If you have a pond or heated birdbath they may show up for afternoon drinks.